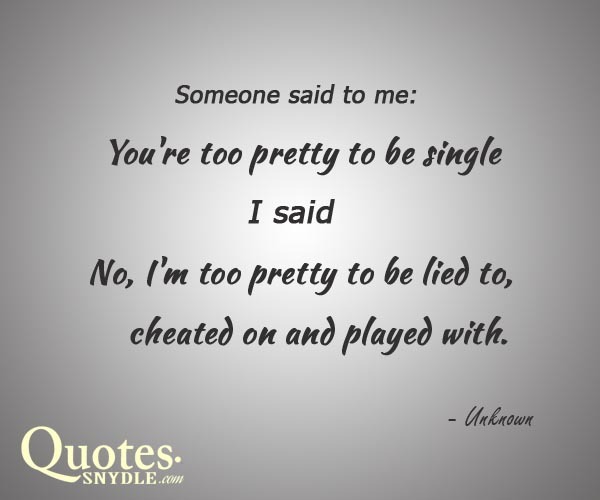 You’re probably looking for moving on quotes and sayings to be here in this page. 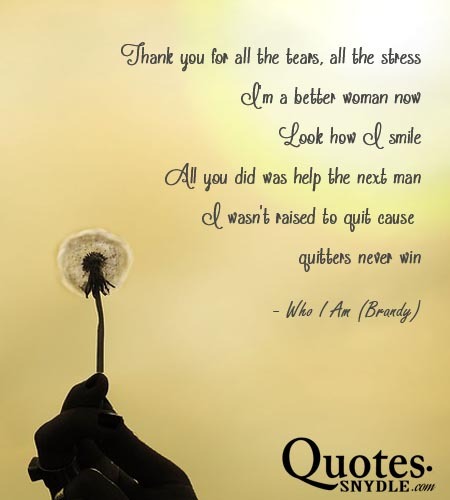 Well, here, I compiled some of the best and motivational letting go and moving on quotes for women who suffer from heartbreak. Going through a break up is never easy. You don’t only lose the love of your life, but also the dreams and promises you made together. You lose a part of you and you feel an empty hole where it once was. Being in love with someone doesn’t mean the two of you were meant to be together. 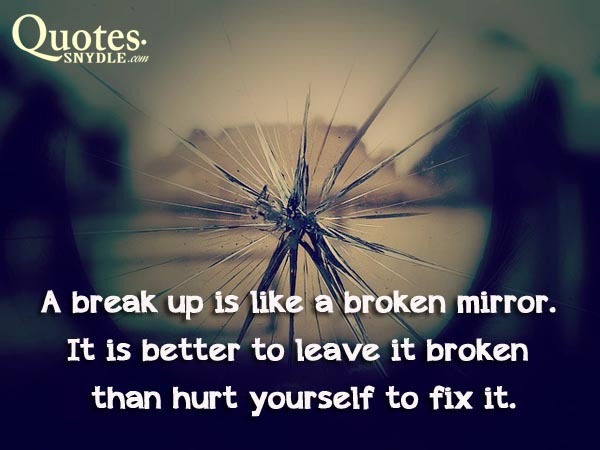 A break up is not the end of the world. Some things are just not meant to be and that’s okay. There is nothing wrong with you. It’s not your fault that guy just didn’t see what a great person you are. That is his loss and that is nothing to be upset about. 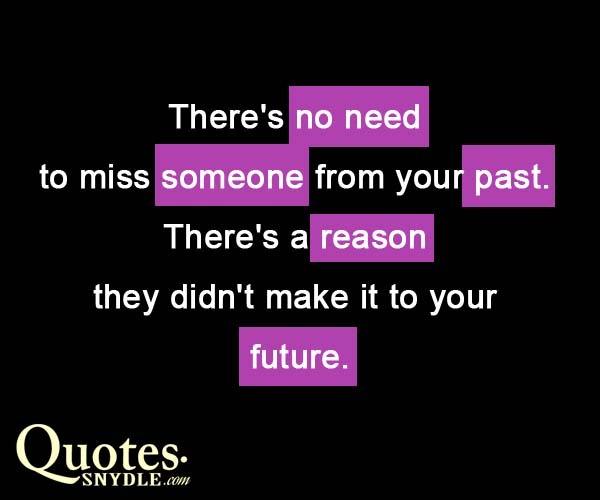 Read on and be inspired with these best moving on quotes for you. Don’t be afraid of moving on. There is so much out there for you and you will not see it if you just stay in the corner and stew in your own misery and self-pity. 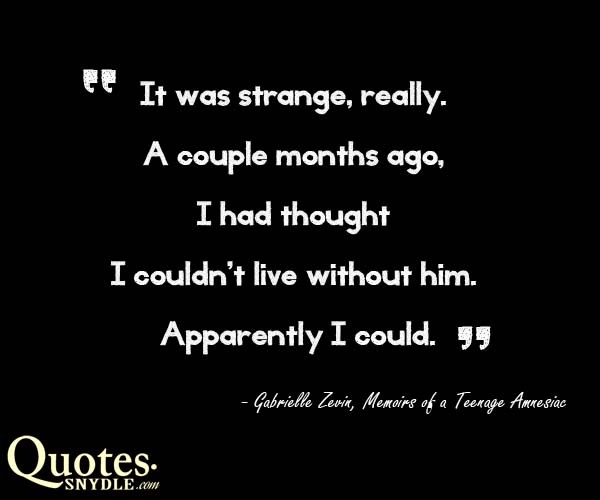 Get inspiration from these inspirational love quotes about moving on especially for you. 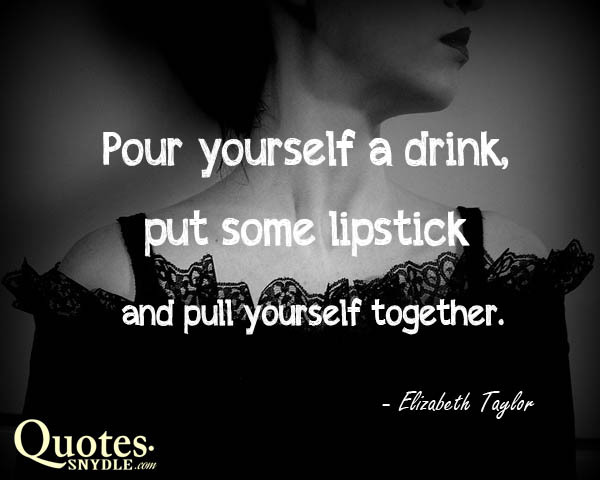 Pour yourself a drink, put some lipstick and pull yourself together. 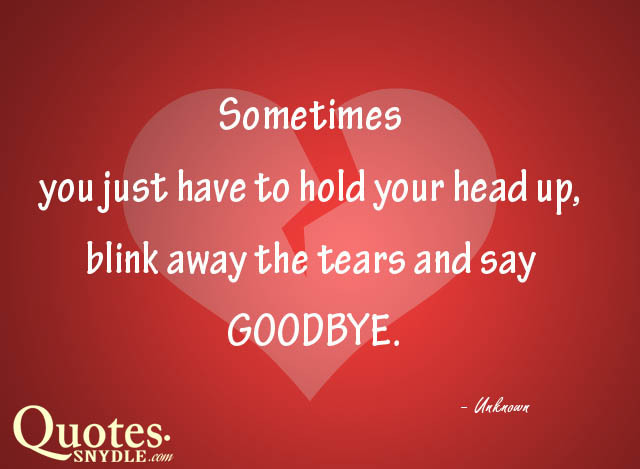 Sometimes you just have to hold your head up, blink away the tears and say GOODBYE. 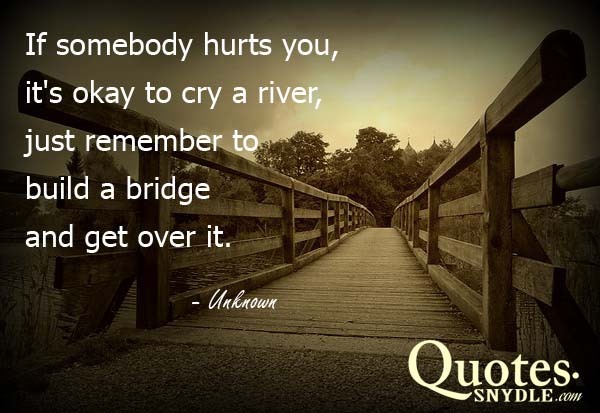 If somebody hurts you, it’s okay to cry a river, just remember to build a bridge and get over it. 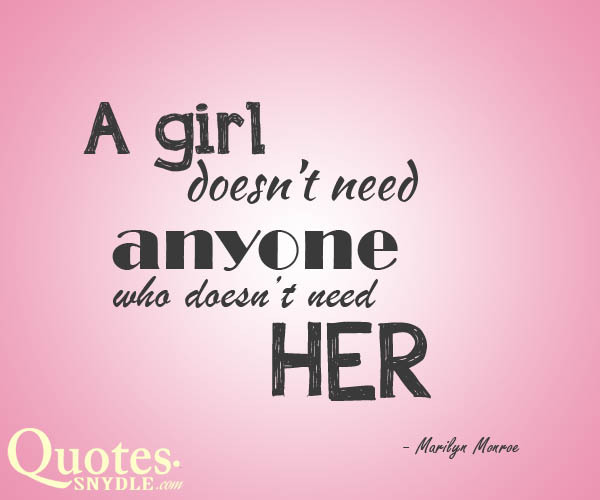 It’s better to be alone rather than being with someone who makes you feel like you’re alone. 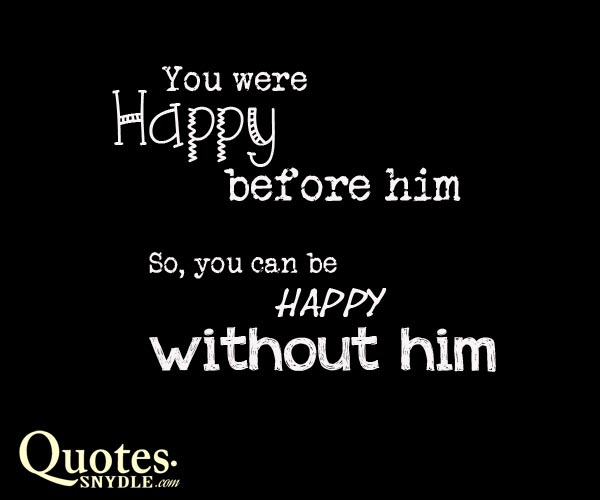 You were happy before him, so you can be happy without him. Feeling sorry for yourself will get you nowhere. 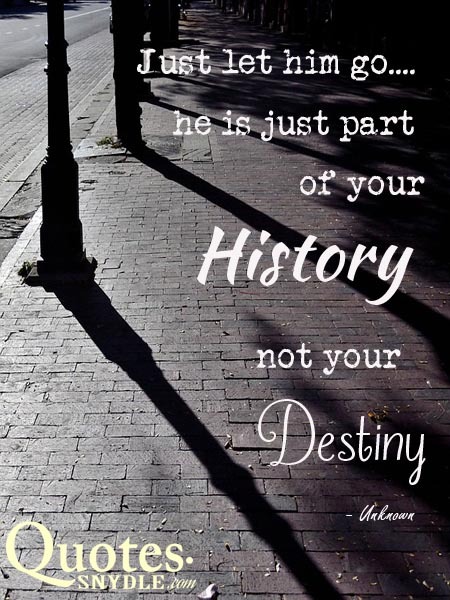 You can stay up all night and replay all the memories you have together, but it will not make a difference. He’s gone and you just have to accept that. 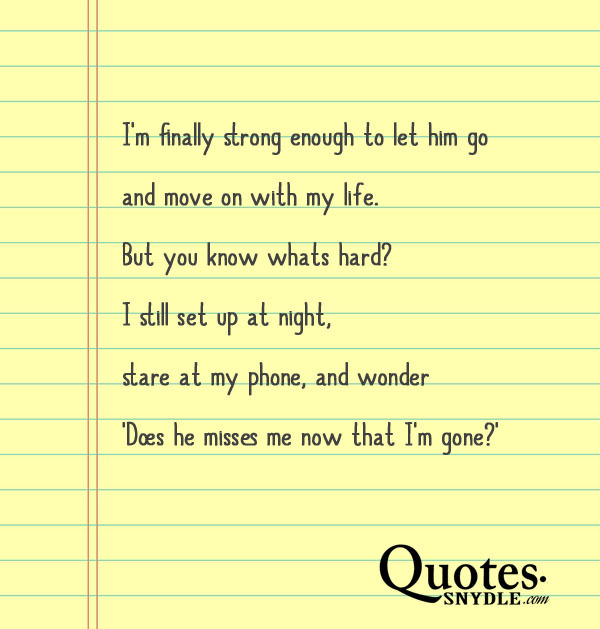 Here are some letting go quotes to move on from your heartbreak. 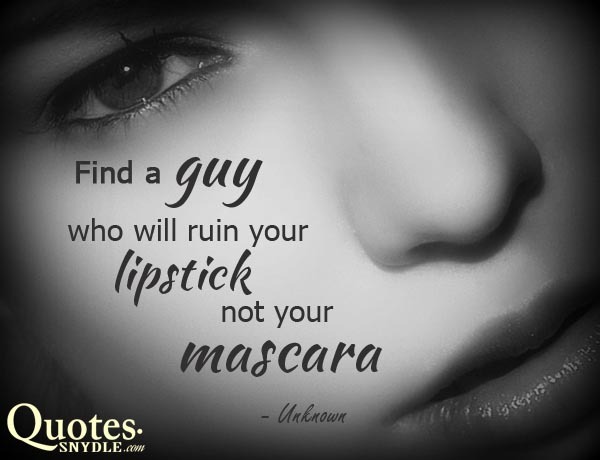 Find a guy who ruins your lipstick not your mascara. New clothes are a great way to deal after a breakup. 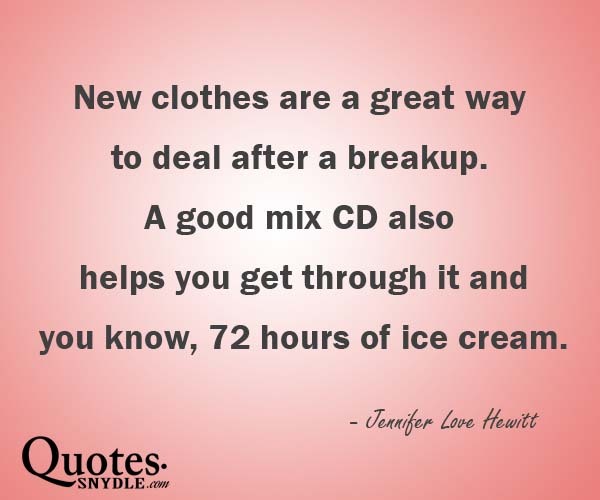 A good mix CD also helps you get through it and… you know, 72 hours of ice cream. 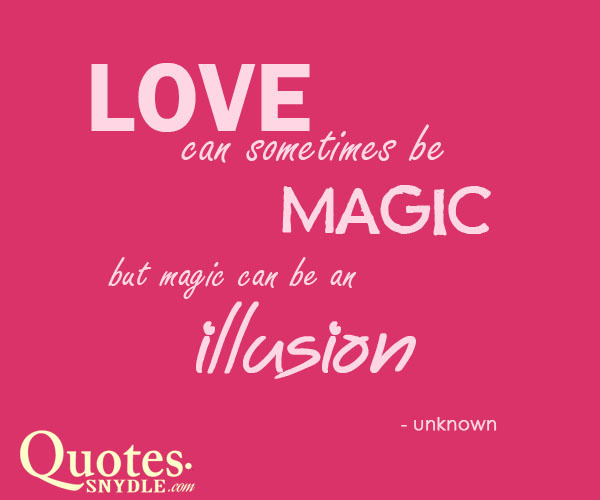 Love can sometimes be magic; but magic can sometimes be an illusion. 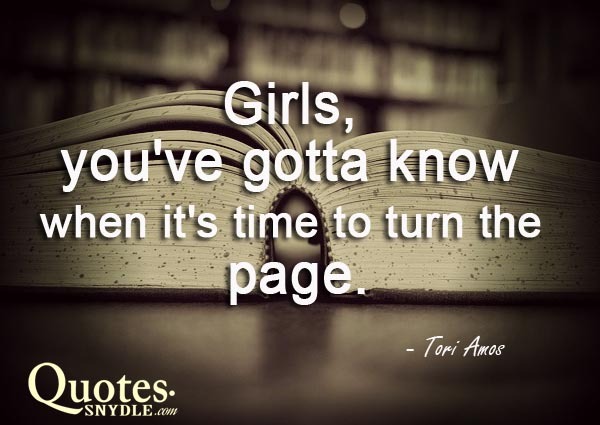 Moving on is moving forward. You cannot go on with your life if you keep looking back. 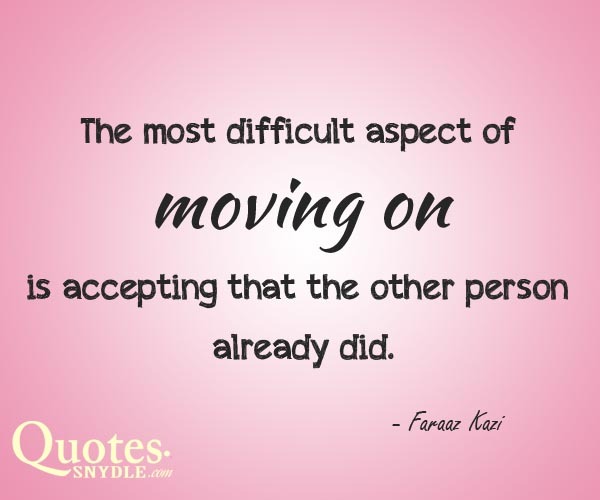 Moving on is not easy, but it is possible. 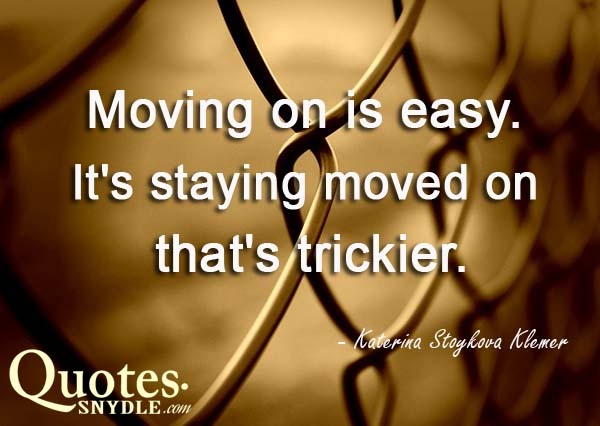 Let go of someone and be motivated with these great moving on quotes and sayings. 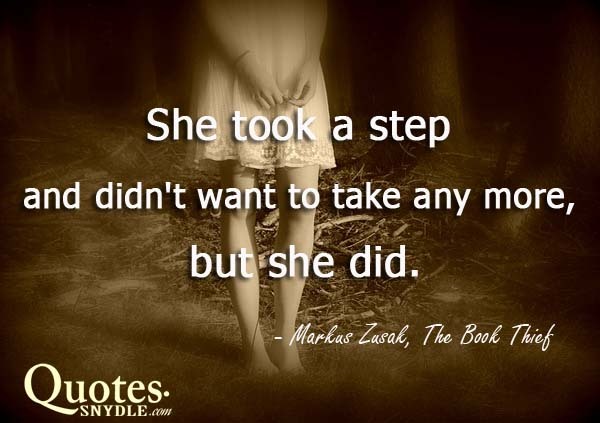 She took a step and didn’t want to take any more, but she did. When you love someone, it’s never over,’ Dr. Carruthers replied gently. 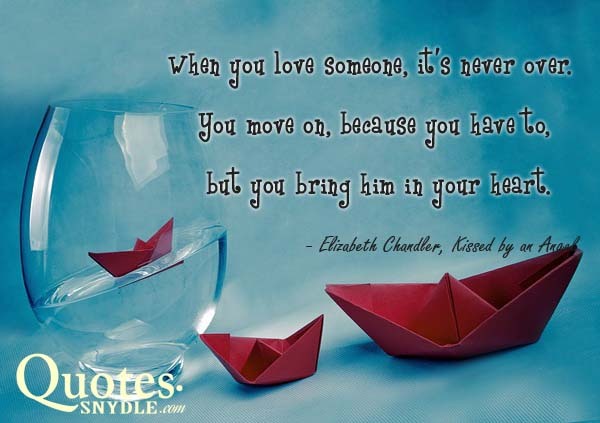 ‘You move on, because you have to, but you bring him in your heart. Let this be a life lesson and a learning experience. It is okay to look back once in a while at fond memories but don’t go living in the past. 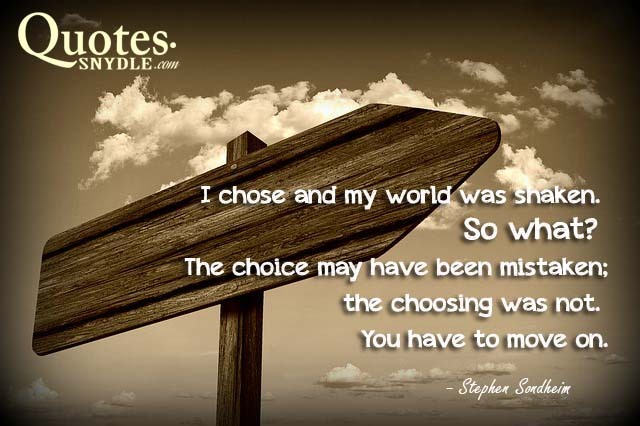 Take a look at this collection of best of the best moving on quotes and letting go quotes. 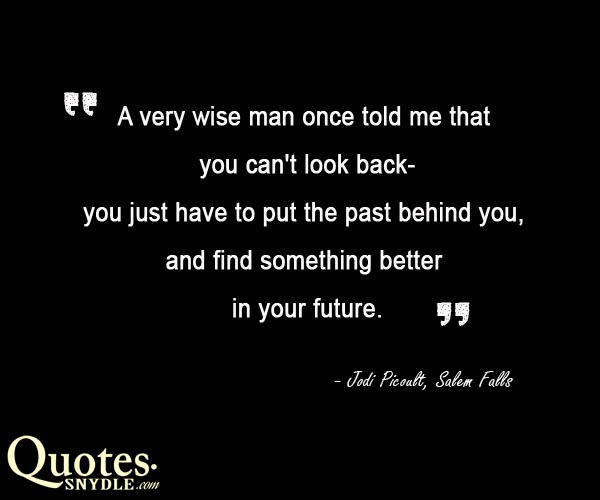 A very wise man once told me that you can’t look back-you just have to put the past behind you, and find something better in your future. 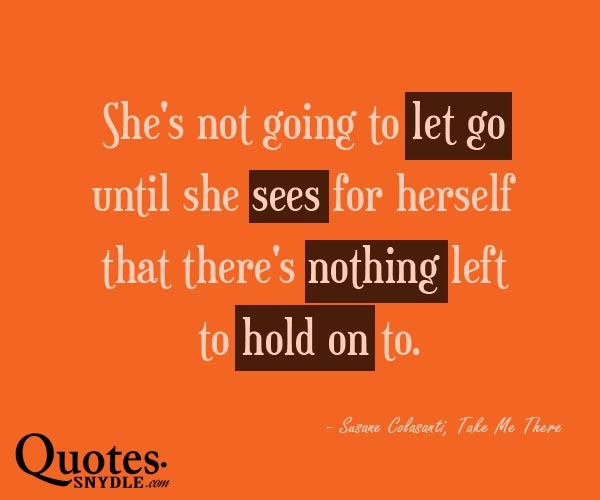 She’s not going to let go until she sees for herself that there’s nothing left to hold on to. I’ve been heartbroken. I’ve broken hearts. 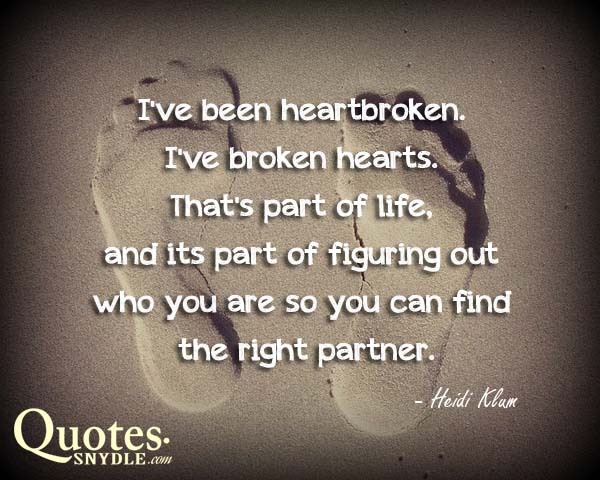 That’s part of life, and its part of figuring out who you are so you can find the right partner. 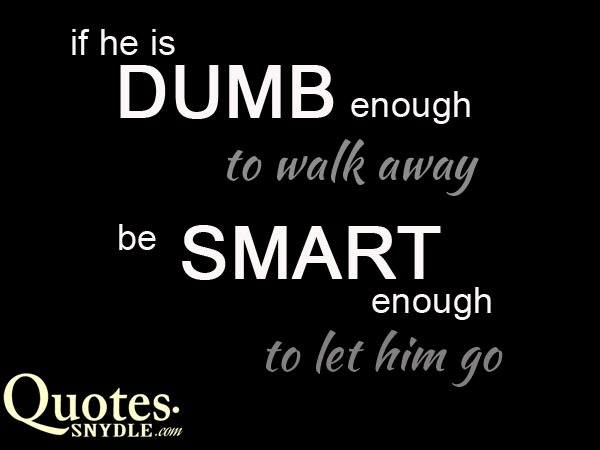 If he is dumb enough to walk away, be smart enough to let him go. 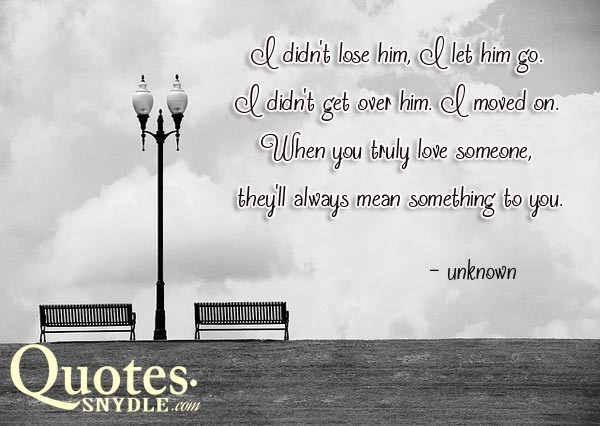 I didn’t lose him, I let him go. I didn’t get over him. I moved on. When you truly love someone, they’ll always mean something to you. 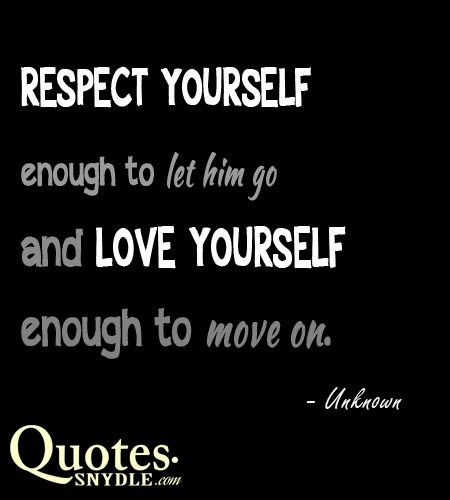 Respect yourself enough to let him go and love yourself enough to move on. Maybe a happy ending doesn’t include a guy, maybe it’s you, on your own, picking up the pieces and starting over, freeing yourself up for something better in the future. 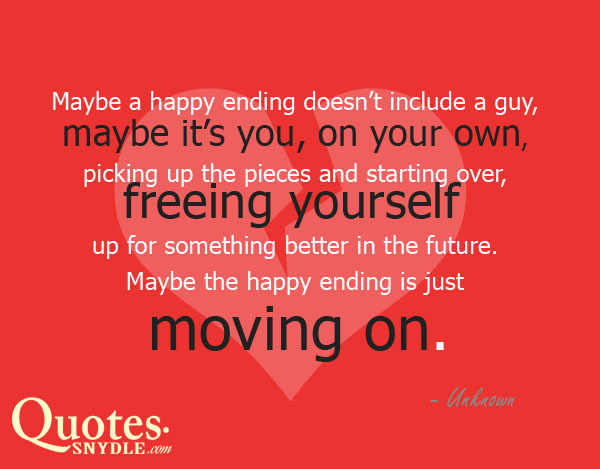 Maybe the happy ending is just moving on. 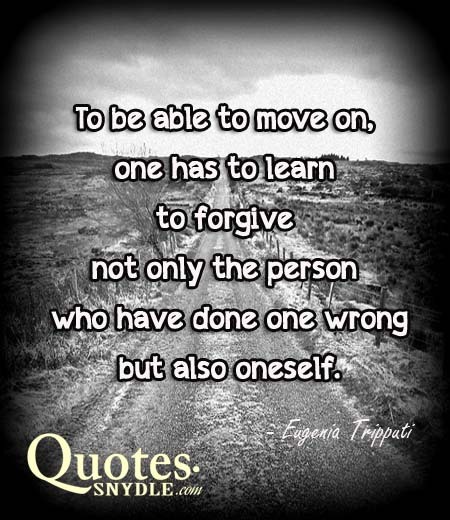 To be able to move on, one has to learn to forgive not only the person (or people) who have done one wrong but also oneself. 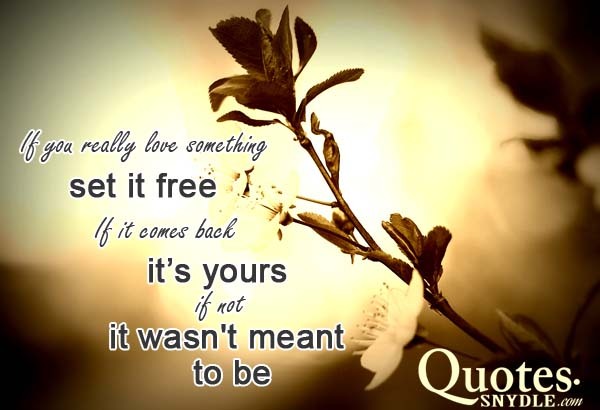 If you really love something set it free. If it comes back it’s yours; if not, it wasn’t meant to be. 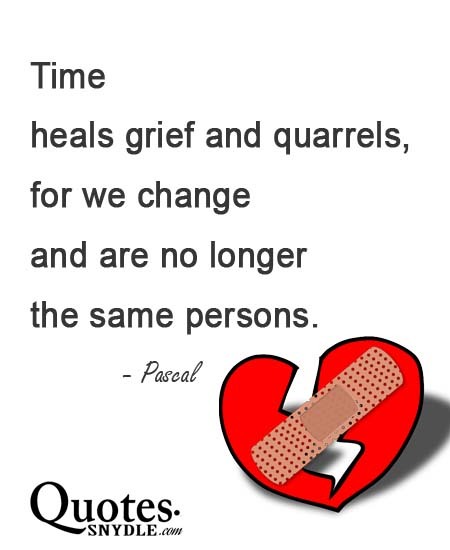 Time heals grief and quarrels, for we change and are no longer the same persons. 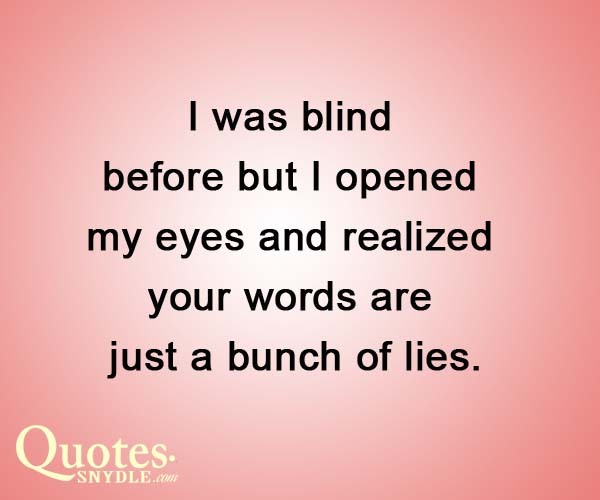 and realized your words are just a bunch of lies. 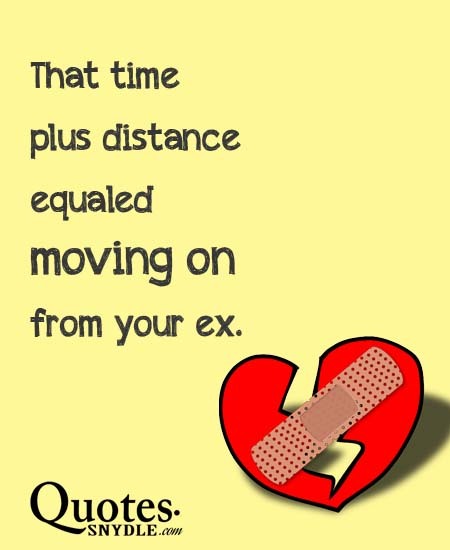 That time plus distance equaled moving on from your ex.